Time for me to step up to the plate and register for some other races in 2015. Ireland, an island steeped in history and mythology with scenery which rivals that of any other sights around the globe. For many years visitors have flown or sailed to Irish shores to take in these sights and to go home with great memories of this fantastic island. For one week in May many travelling will have their sights set on a truly iconic event – the 26 Extreme Coast to Coast Multisport Race Across Ireland. Traversing Ireland in a west to east format the route of the 26 Extreme Coast to Coast will pass through unspoilt rural locations, through quaint villages and along one of the most famous waterways in Ireland – The Shannon – Erne Waterway. Whether you choose to race the NON-STOP version or the TWO DAY version you will follow a route which winds its way along 316km of the best cycling, paddling and running terrain Ireland has to offer. Competitors will be truly astounded at the scenery and challenge laid down before them in this fantastic event. As most Adventure Racers will know there is a dynamic to the team and how it works together before and during a race. It is this dynamic that I think will be different because we are a couple and life partners too. I’m really looking forward to this as it opens a whole lot of new doors for us. What else could be better than finding out that both of you love Adventure Racing?! Who are Team #TriHarder AR? 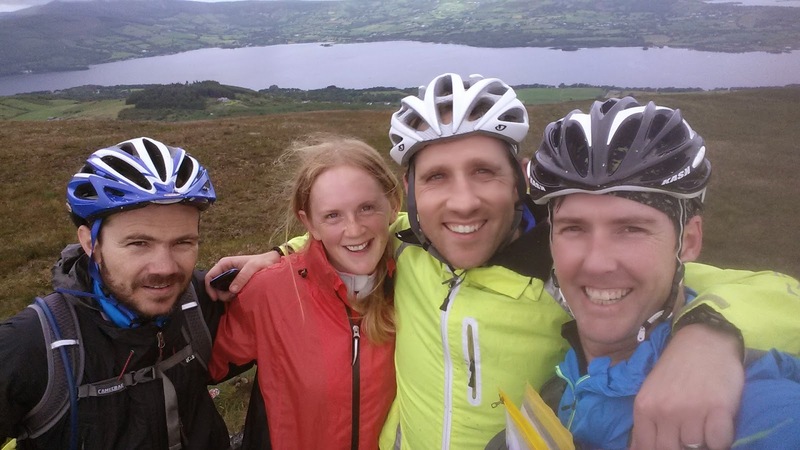 Back in January 2014 a call went out on the Traithlon / Duathlon / Adventure Racing forum on Boards.ie to put together a team in order to take on the Beast of Ballyhoura Adventure Race to be held in August 2014. The organiser and defacto team Captain was to be Michael Casey O’Shea who had a previous encounter with the Beast in 2012 and very quickly, along with Kate Harrison, Warren Swords and myself, Sean Conroy, Team #TriHarder was born. We trained and tackled the Beast in 2014 and a love for #AdventureRacing blossomed. There are plenty of accounts both here on my own blog on the home page and in various Training Logs both privately held and publicly on Boards.ie of our adventures (I will link them in here). What remains is a plan to grow the team through winter & Spring 2015 ready for a 3 day assault on the Beast in August 2015 and who knows where we go from there? Maybe #ITERA2016 which is a 5 day expedition event to be held in Ireland. Who knows?